CAR BUYING FOR HOUSTON WOMEN JUST GOT BETTER! 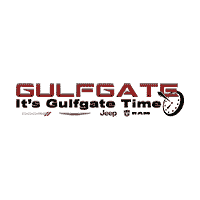 At Gulfgate Dodge Chrysler Jeep Ram, we recognized long ago that women know what women want best. According to Forbes, three in four females feel misunderstood by car companies and surprisingly, more than 80% of car buying decisions are being made by women. That’s why when it comes to buying a Chrysler, Dodge, Jeep, or Ram, our management team developed the Empower Female Drivers program to assist female car buyers with their car purchase from beginning to end. Now with the Empower Female Drivers program in place, women who are searching, selecting, financing, and purchasing a car can expect a process that is seamless and easy. Our mission is to make car buying a positive experience! The Empower Female Drivers program will pair female customers with one of our female sales representatives to improve the vehicle purchase experience for women buying a car. Our female sales representatives are committed to providing a unique experience for women and specialize in providing superb services that are second to none. With the Empower Female Drivers program, female customers can rely on our female sales representatives to cater to their needs during the entire process of buying a vehicle, whether they are shopping for a new or pre-owned car or truck.